Sewer Line Repair & Replacement Services - Eagle Plumbing and Heating Inc.
Searching for expert Bellingham sewer line repair and replacement services? Contact the skilled professionals at Eagle Plumbing & Heating at (360) 318-9999. Click here to save on many of our valued services. As soon as you discover a potential problem with your sewer line, reach out to the specialists at Eagle Plumbing & Heating for professional services. We can make any necessary repairs are replace the entire line if the issue is more serious. Our dedicated professionals are here to help our customers in and around Bellingham with any plumbing difficulties they may be experiencing, by offering fast, affordable, and effective solutions. We also strive to educate homeowners on what signs to look for that may indicate that a problem is occurring. 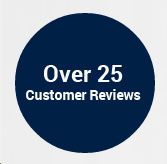 To read reviews from other customers in your area on our quality services, click here. What are some common signs that you need sewer line repairs? A problematic sewer line should be repaired immediately to avoid disruption of waste removal from the home, as well as to prevent unnecessary damage to your property, due to a sewage backup. You may notice any number of signs that could indicate that there is damage to your sewer line, which include a foul odor outside the home or visible signs of sewage waste in the yard. In addition, you may have difficulty flushing your toilets, or sewage can actually back up into your residence. These are all serious plumbing issues that can affect various systems in your home and cause significant and costly damage. If you notice any of these signs, you should contact the certified professionals at Eagle Plumbing & Heating as soon as possible for repair or replacement services. What are the advantages of video camera inspections? The traditional method to repair a sewer line is for a plumbing company to dig a trench in your yard in order to physically access the damaged area. The trench can potentially run from your home to the edge of your property line, meaning that a considerable amount of your yard will be uprooted during the repair process. At Eagle Plumbing & Heating, we offer advanced video camera inspection services in order to keep your yard in tact. With this service our professionals can identify any problems with your sewer line by feeding a camera right down into it. In some cases, we can even repair the damaged line internally without having to disrupt your yard. If a trench does need to be dug, it will be significantly smaller, because the location of the damage has already been pinpointed. As with any other aging system, your sewer line is likely to experience an issue at some point. However, there are some precautionary steps that you can take to decrease the chances of a problem. A very simple way to minimize the likelihood of a sewer line issue is to avoid flushing large amounts of waste or foreign objects into your toilet. Additionally, when any landscaping work is performed on your yard it is important to know where your sewer line is located. Avoid digging holes or trenches near your line and make sure that trees are planted at a safe distance. Sometimes tree roots can make their way into your sewer line in search of an additional water source. When a sewer line issue becomes more severe it can result in serious damage to your property. Make sure to adhere to proper sewer line care and have any problems diagnosed quickly so that future complications can be avoided. If you have any questions or concerns regarding your sewer line our knowledgeable professionals are standing by. For proficient sewer line services in your area, contact the professionals at Eagle Plumbing & Heating. Call us today at (360) 318-9999.